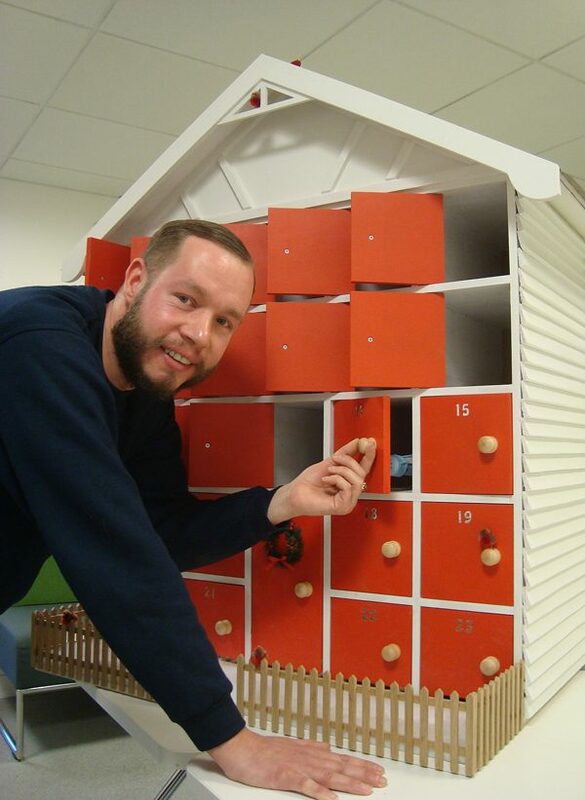 The fun of opening an advent calendar in the build up to Christmas has taken on a more ‘adventurous’ twist for the staff at Hannaford, as one of our apprentices decided to make one out of recycled timber. Although more used to working on significantly larger projects, apprentice joiner Steven White turned his skills to building a bespoke ‘advent house’ in his own time, often staying late to make sure it was ready for December. Hannaford was one of the first certified members of the Forest Stewardship Council (FSC), a non-government organisation, tasked with ensuring there’s a sustainable balance of tree planting and timber usage for future generations. Wherever possible, Hannaford specifies timber acquired from sources accredited by FSC, to minimise the impact of its business on the environment. Skills run deep at Hannaford. They are the lifeblood of our commercial joinery and fit-out business. Continuing professional development is embedded in our culture, so that Hannaford’s team of joiners, draughtsmen, account managers, finance and administration executives and directors all have regular opportunities to grow their skills and knowledge for mutual benefit. In our 80-year experience, employees who are supported in their learning and encouraged to stay at the top of their game are more fulfilled and deliver the highest performance. At Hannaford, this culture enables us to bring fresh ideas to customer briefs, incorporating use of new applications, knowledge of differing and complementary materials, not to mention compliance with the latest industrial regulations. Acknowledging that we have a responsibility to invest in the future of both our business and our industry, Hannaford is a proud advocate of Apprenticeships in Bench Joinery. Our apprentice joiner scheme is managed in partnership with Building Crafts College in London. Wherever possible, we try to accommodate work experience placements for school pupils and internships for students in Higher Education.